The regular people of Japan started drinking sencha in the edo era (1603 -1868), when the more refined powdered matcha was reserved for the lordly Daimyo class. There are many varieties produced, but deep-steamed blends with a deep flavour have come to be highly valued. 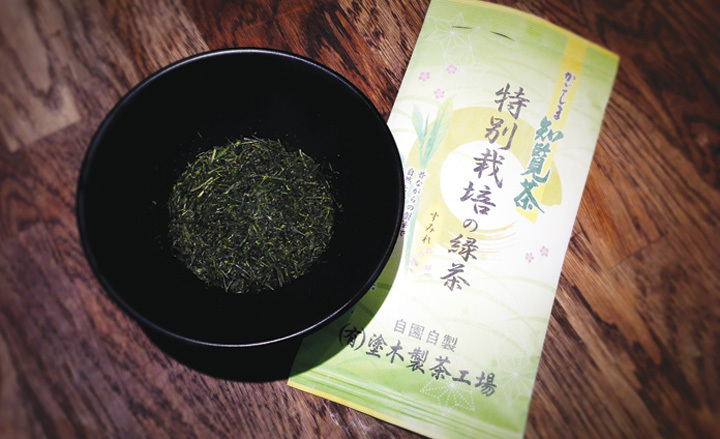 You can tell the quality of a tea by looking at the leaves and the environment they were grown in, and the “sumire” deep – steamed sencha, produced by the Nuriki organic eco-farm in Kagoshima, has a truly rare natural depth and sweetness of flavour. The name “sumire” refers to small violet flowers and was chosen to represent how Nuriki are using sustainable eco-farming techniques that allow wild flowers bloom across the tea fields. made from soft and pliable tea shoots, this brand contains high concentrations of polyphenols and its rare and unique flavour has a firmly established reputation.